After Mike Goscinsky's demo on May 1st, 2006,he will raffle off the demo print free to the audience. 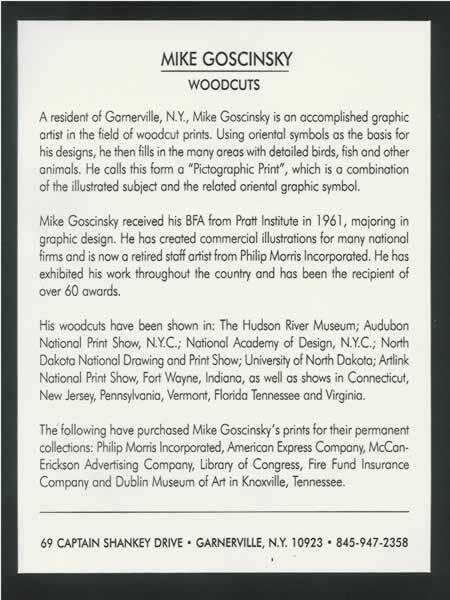 He will have additional woodcuts for browsing and sale, plus tote bags and T shirts. 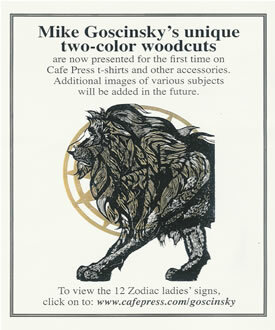 Click on www.cafepress.com/goscinsky to see his over 30 different images, from A (Aquatic) to Z (Zodiac Signs).